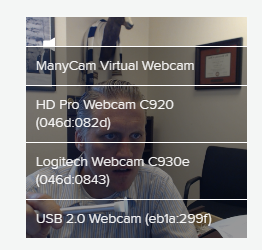 If you have multiple cameras connected to your computer/device you are able to choose which camera Doxy.me uses. 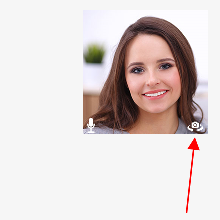 To choose a different webcam, click the camera icon in the lower right corner. A list of available cameras will pop up. Select the one you wish to choose. If you have trouble changing your camera, contact our support team.